When a company decides to export their product or service from their existing base in Brazil, essentially just looking to increase sales in a strong currency. Brazilian companies usually find success in exporting to Latin America, some African markets and some places in the Middle East. Motivated by a desire from the shareholders or owners of moving abroad, and therefore move their business with them. Many entrepreneurs find it’s important to find a place with similar characteristics from home, and Florida or Portugal top the list for their mild weather and cultural similarities. 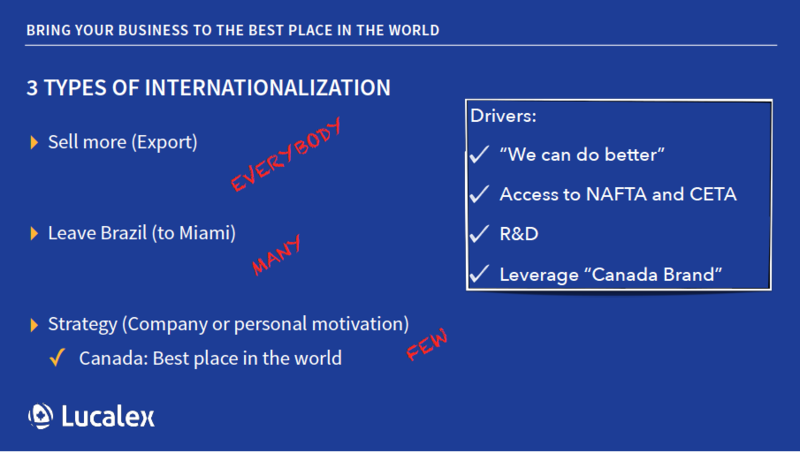 Lucalex focuses on companies that see internationalization as an important part of their strategy. Certainly there is interest in generating revenues abroad and maybe even immigration, but there is something more. These companies see a very clear strategy that will benefit the company as whole with the presence abroad. – Leverage that comes from from becoming an international brand, which can help sell more even back home. Welcoming to immigrants, with a strong and stable economy and very low bureaucracy for opening and running businesses, Canada has become a big attraction for entrepreneurs from all around the world. But even if you don’t think the Canadian market is your final destination, the country is the ideal place for the international base, and the ideal as a “pilot”, or “test”. When you try to do business in a very large and fiercely competitive place, like the U.S, you’ll find a much larger market indeed, but the initial risks and resources required are also certainly much larger. Canada has similar market characteristics to the American market, but it’s a smaller, gentler environment where a business concept can be tested with limited risk. What some of our clients do is to test the business model in Canada and then convert to the American market, a strategy already done by many European companies for decades. 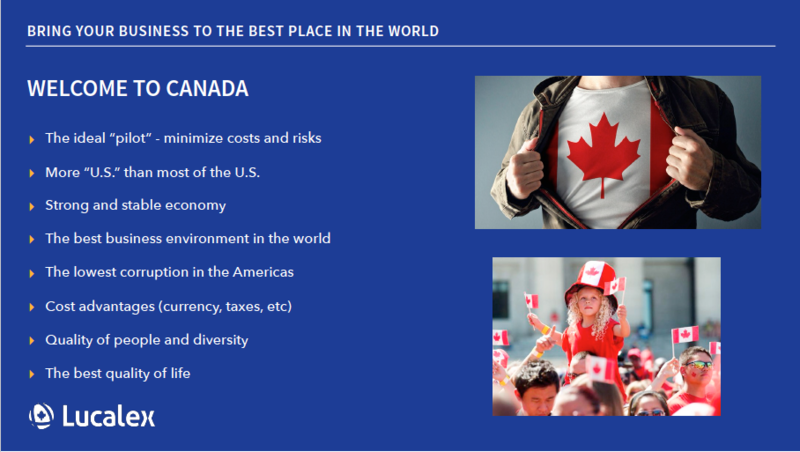 You can use Canada to test your concept, customize your approach, work the bugs out and build a track record. In the end, you’d be able to enter the US market and European markets as a Canadian company. Not a bad solution, “eh”? We are here to help build your success in Canada. The success of your company in Canada Trying to Bring a Business to Canada: why such a low conversion rate?